Having a sister, either older or younger than us, it’s like having a friend in the house. With her we can have nice moments, and a lot of fun as well as felt very loved. Sometimes there may be some disagreement, which is not bad, but the love between brothers or sisters is stronger, so we must always demonstrate her that we love her very much. In a special date as her birthday, it is an ideal opportunity for you to express your great affection in this occasion. May be you do not want to tell her personally, but you can write a few words to let her know that she is very important to you. 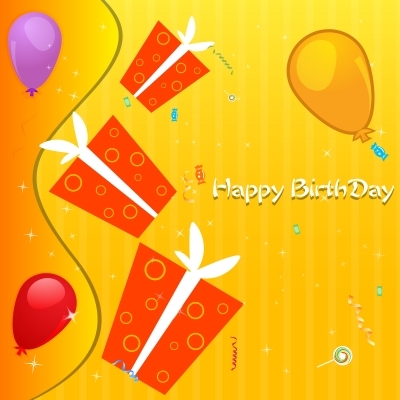 In this section we present two examples of notes for you to have an idea of how to write a nice message and I dedicate with love on your birthday. Congratulations on your birthday! Time passes so fast, I still remember the day you were born, you have filled our home with happiness since your arrival. Sometimes we fought because of the toys but now you have grown. Every wonderful moment I spent with you I keep within my heart because you are someone special. Life would not be fun if you were with us. We have been through a lot together and are who understands me and gives me her love. I see you as a little girl, I love you so much my sister. To me you will always be important, I’ll be by your side giving you my support when they require, giving you my protection and giving yourself my love. Sometimes we can have some discussions, but I want to tell you that I love you and these disagreements are not going to make you stop loving. We will always remain very close, although we become to be so far from each other. I wish you all the best on this day and I hope all your dreams come true. I love you. 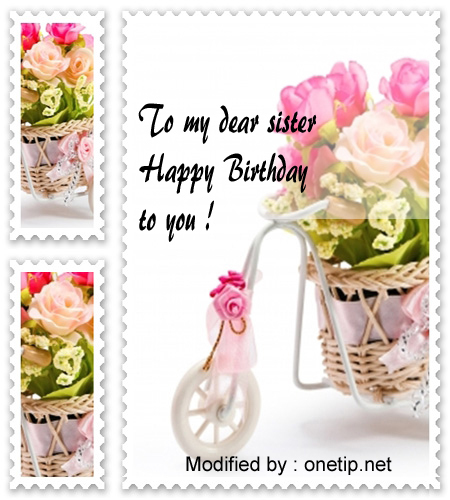 On this day you celebrate your birthday, it’s a perfect time to tell you how much I love you, sister. Thank you so much for your love, for your good advice, for being so patient with me and show by example how to be a better person. 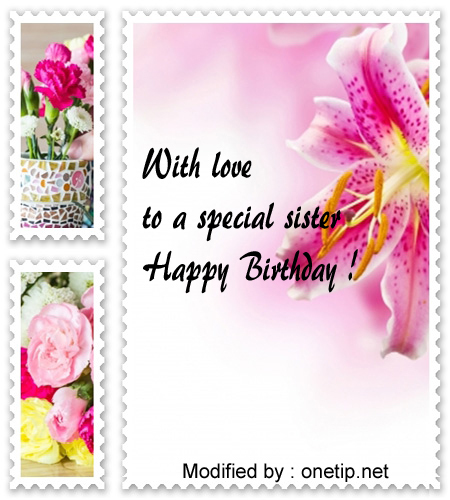 I want to tell you I’ll love and admire you all my life as you are a very special sister. I like it when you take me for a walk, buy me candy, going to the movies and all the fun things we do together. Without you nothing would be the same, so I’m thrilled you’re by my side. I will never stop loving you, your company makes me happy. You know? I feel very proud to be your brother. You are a loving, intelligent and very funny girl. Thanks for helping me when I ask and hope to make up for all that you do for me. I wish you to be with us for many more years to celebrate your birthday and if ever you go, we will be in touch as I will never cease to love you. I thank you for being such a good sister. Loves you, your brother. 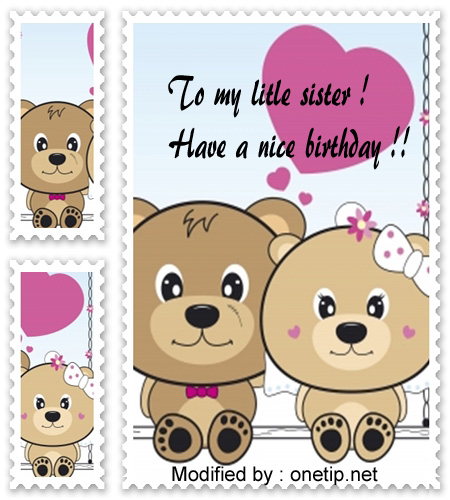 These two examples will be helpful for you to write a note to your sister and surprised on the day of her birthday. Very good birthday letters for my sister ! thanks ! nice birthday letters thanks !